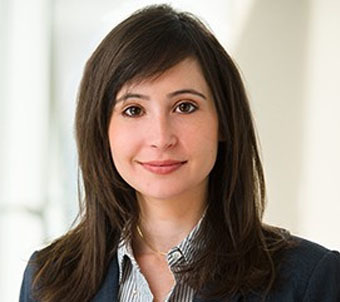 Denise Yasinow is an associate in McKool Smith's New York office. She focuses her practice on insurance coverage and commercial litigation. Prior to joining the firm, Denise was an associate at a large international firm, where she represented policyholder clients in declaratory judgment actions against insurance companies and contractor clients in bid protests and construction defect disputes. While attending law school, Denise received the International Academy of Trial Lawyers Award and the Don Sommers Award in Professional Responsibility. She was an associate editor of the Global Studies Law Review and won several awards for her participation in the Niagara International Law Moot Court Competition.